Where are you going to be on Thursday night, November 16? Might we suggest the Crocker? Come visualize the music with The Lique (pronounced “Leak”) and their funky, hip-hop/jazz sounds. The Lique is the first band to kick off Audio Muse, a new hybrid music/new-media concert series at the Crocker. Known for their engaging and dynamic concerts, The Lique have opened for American rapper Flo Rida, and were even voted “best band” by Vegas Seven Magazine! Plunge yourself into sound and light as the The Lique and liquid-light-show pioneer George Holden together bring you a harmoniously immersive show guaranteed to rock your senses. “We want Audio Muse to be like seeing a band at a club, but even better because we’ve got this whole visual element you aren’t going to see anywhere else. We chose The Lique because they have a great energy to dance to, and social justice messaging in their lyrics, so it’s fun, but it also makes you think." Stephanie Longoria, Crocker Public Engagement and Volunteer Coordinator. Blending the energy of ArtMix with a healthy dose of nightclub vibes, Audio Muse will transform the Friedman Court into a high-energy, all-ages concert venue. Combined with the visual element this show will be a musical experience unlike any other in town. Grab a drink, grab a bite, grab a friend, and come experience the inaugural Audio Muse concert this November 16! Café is open until 8pm. An eight-piece, brazenly brassy funk explosion out of Sacramento, Joy & Madness brings a modern, classic, pop sensibility to a new age of funk and soul. The band has won Independent Music Awards and Akademia Music Awards and is known for its raucous live performances. Register here. 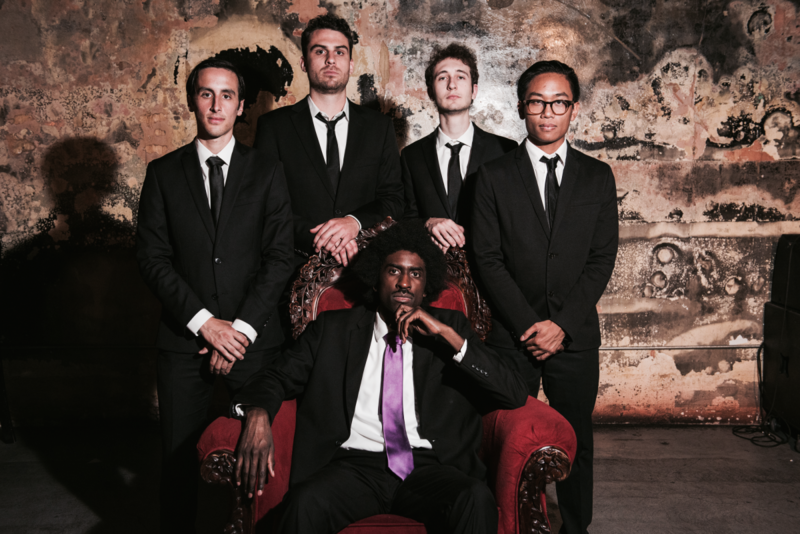 A blend of ska, rocksteady, reggae, and soul delivered with an unapologetic, punk rock attitude, the Sacto Storytellers deliver a brilliant evening of good vibes with no worries. Register here. Dance, laugh, and mix to the infectious sounds of Planet Booty, the eclectic, electro-funk trio. With live instrumentation combined with electronic beats, you'll be one nation under groove. Register here. Indescribable, undefinable, transcending; it’s a jazz-inspired night with Mino Yanci, which translates literally and figuratively into “musical freedom.” The band proclaims: “You are welcome to define what our music is to you. But as for us, we just want to be free.” Register here. It’s Spring, so let’s swing. The Hot Baked Goods puts a contemporary twist on swing classics and new creations, keeping things upbeat and hopping. Tap your toes to this eight-piece band straight out of San Francisco. Register here.